My experience is the lower intake runners are the same. Some are plastic some are aluminum, but I've never bothered to swapped them. The upper intake can be slightly different - usually the direction to the throttle body and intake snorkle is slightly different. The Fusion intake can be used if you don't mind making slight adjustments to the intake snorkle. 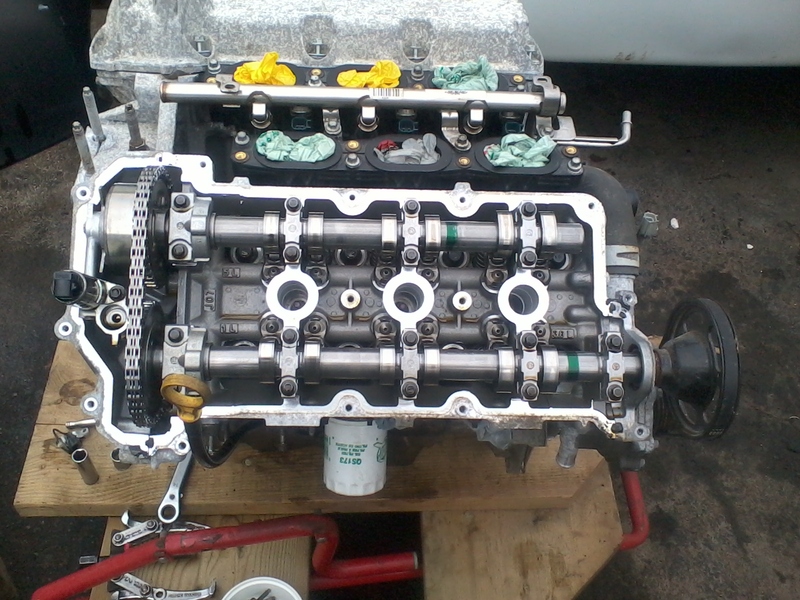 Injectors are the same - no need to change. My experience is the wiring connectors to the injectors are also the same. Definitely use the Mazda6 harness. 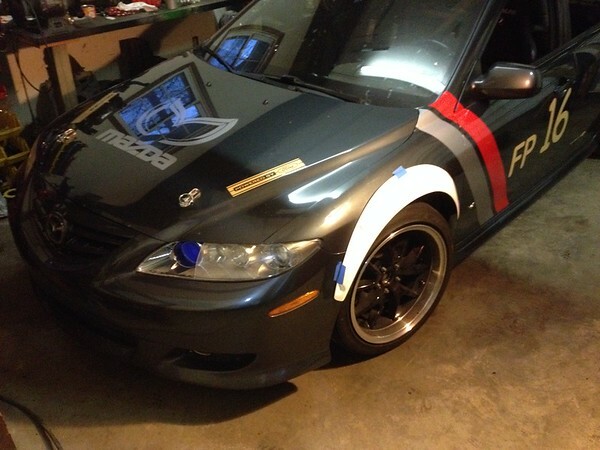 I also swap over the Mazda throttlebody and sensors - oil, temp, crank sensors, and TPS, etc. Cam actuators are the same - I don't swap them. There was a fuel rail change at some point. The early 6s have a female connection on the fuel rail. The later 6s/Fusions have a male connection. Rather than swap fuel rails, I swap the fuel line that runs from the firewall to the fuel rail. 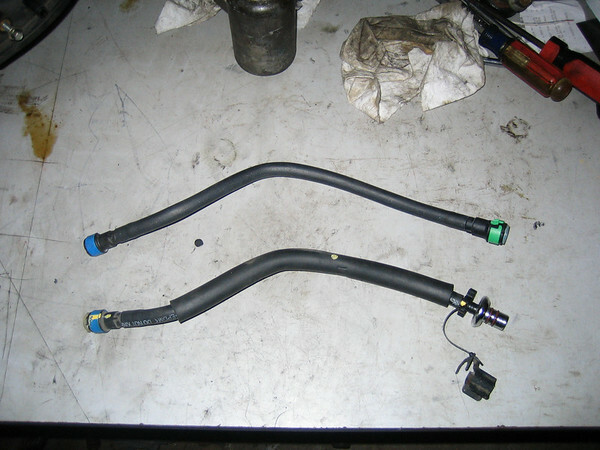 Here are the two different fuel lines. The newer 6/Fusion line on top. Since your car is a 2006, you might have the same fuel rail as the Fusion. 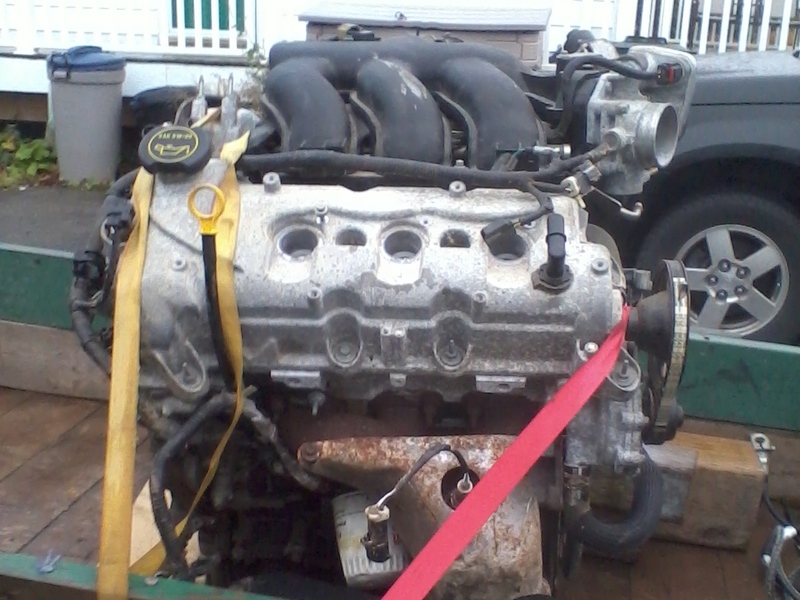 Thanks for getting back to me, I appreciate the info and it will help me in re-assembling this motor. The sensors all got swapped with the front cover so that's a done deal, I am using an AEM CAI so a slight angle difference on TB might not be an issue, I will leave intake off until motor is in and decide than but I am leaning towards using the fusion intake if possible, by cam actuators are you referring to the pickups in the front cover , if so I will use the Mazda ones to get car running then swap to the Fusion ones since they are almost new and have no actual running time on them. 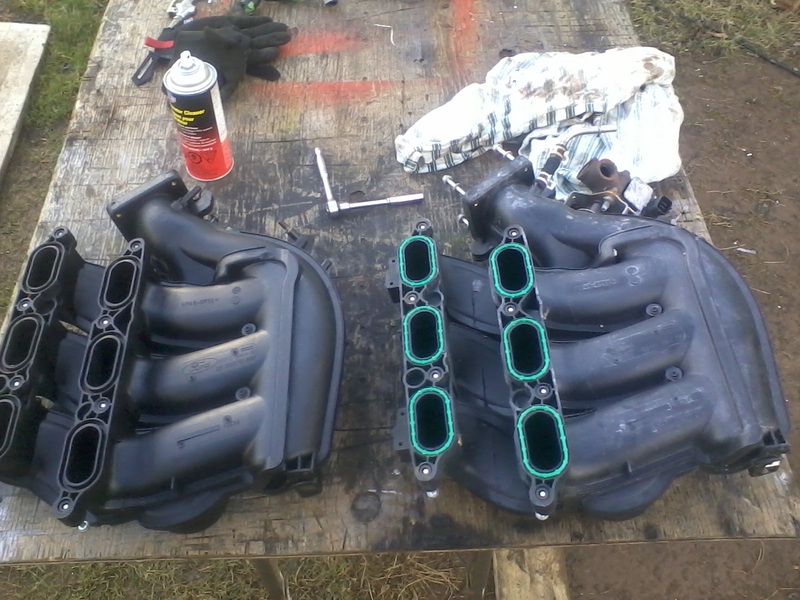 (Good to know for spare parts to hang onto to) I have attached some pics of the two side by side, and a couple of the internals of the old vs the new motor, the intakes look pretty similar except for a slight upward tilt on the Fusion intake, is that the angle you are referring to? Last edited by jfl1960; 11-29-2014 at 09:53 AM. No those are the cam position sensors. I was referring to the vvt actuators that come thru the valve cover. Shown in your 5th pic -on the far left. Looks like you got if figured out. 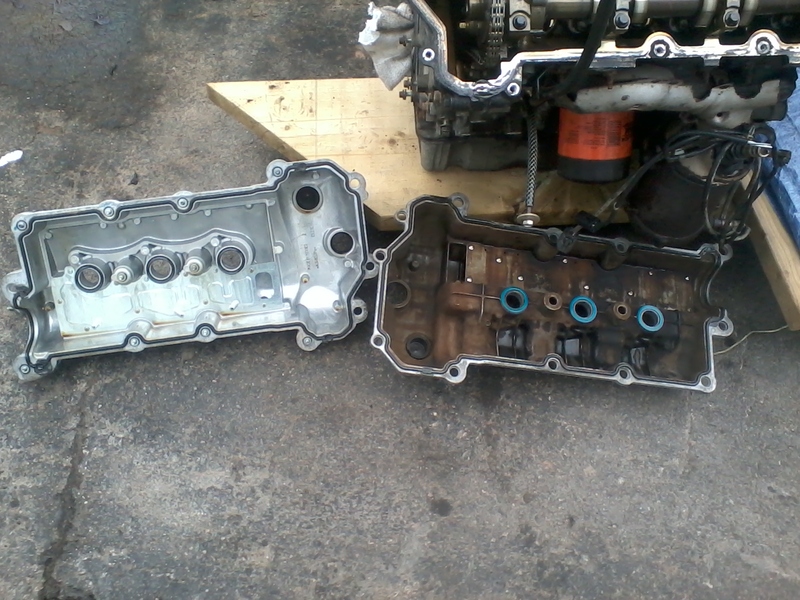 Aww the Oil Control Valves for the VVT, yup left the fusion ones in there, appreciate the help. 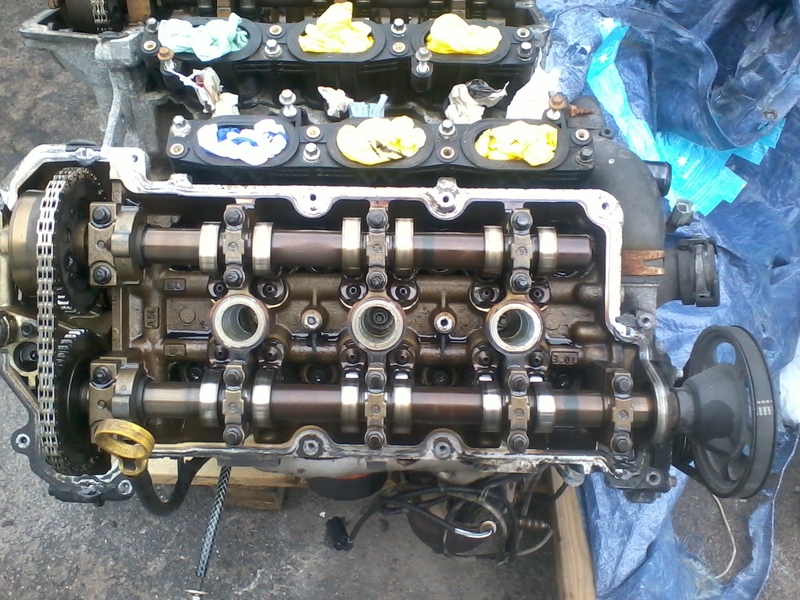 Just got my new seals for the OCV valves and will tackle the valve cover refurbish tomorrow. My cats failed on the mazda so they are gutted now and I could use them but the Fusion cats look like new (referring to manifold pre-cats), if I leave the Fusion oil pan on the motor and use the fusion Y-pipe they should fit, I can always swap to the Mazda oil pan with motor in the car if the Fusion exhaust cannot be connected to the existing Mazda exhaust, but hey that's what grinders and mig welders are for right, any thoughts on the exhaust, I suspect I would have to swap the O2 sensors since the wiring is different lengths, do you think they would work properly in the Mazda or should I just go with the gutted pre-cats until a header swap is affordable? -2009 Fusion block didn't change anything internally. -Air induction system: Using an AEM CAI with original 2006 Mazda 6 MAF sensor, cleaned with MAF cleaner. -Upper intake from 2009 Fusion, the 09 Fusion intake has slight upward angle at the TB compared to the 2006 Mazda 6 intake but with the CAI this was not an issue for me. 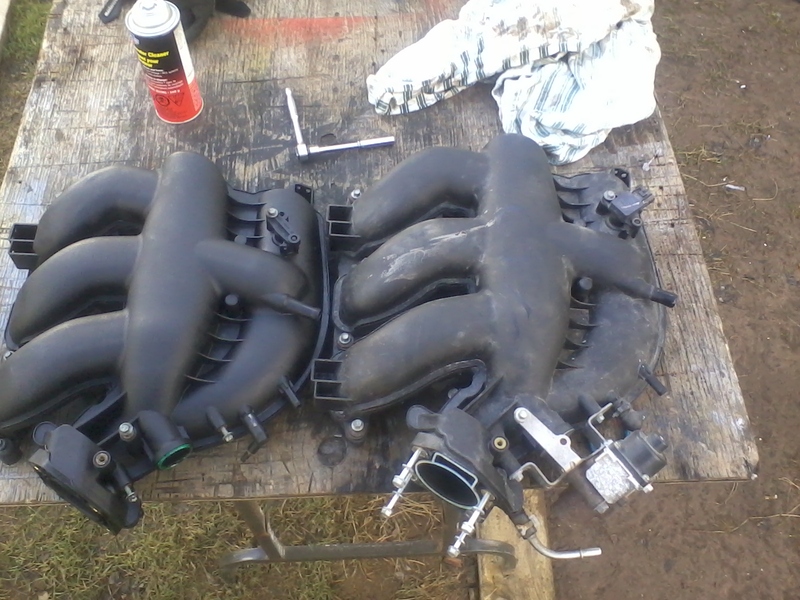 Used this intake because it was spotless clean and my old one had residue from oil and most likely catalytic material, so I was lazy and used the clean one. -OIL PAN kept the 2009 Fusion pan, the 2009 pan looks identical to Mazda 6 pan, cannot speak for other years, exhaust fit perfectly, did put in a new seal and cleaned out pan while I had it off. Did not change oil pick up tube, left Fusion one in place. -Pilot guide for clutch swapped from 2006 Mazda 6 (some refer to this as pilot bearing but actually it's just a round locator guide for your clutch alignment tool, not an actual bearing just a large solid metal insert that fits into the crank end and has a hole centered in it to fit the nose of the clutch alignment tool). Some say it's not needed but I swapped it in anyway to make clutch alignment easier, trans slipped right on without any hassle. Thanks to everyone who contributed information to this project, now off to have some fun before I have to put on my snow tires, ZOOM ZOOM! Annual Tech is in about a month and the first track event for the Mazda is early April. Change rear swaybar - maybe? New steering wheel - maybe? New rear control arm bushings - maybe? Lap 44: Pass in the grass. Was that wrong? Should I have lifted for the Mustang or was that my spot? Lap 82: 4-wide pass on the front stretch. I think they told us in the driver's meeting no more than three wide - oops! You'll see me hitting switches on the dash - that's the pump for the cool suit as I got too hot or too cold. You see me reach down next to the shifter - that's the radio PTT switch so I can talk to the crew. We finished 13th of 77 and set 3rd fastest lap. Last edited by CanyonRider; 02-19-2015 at 01:55 PM. That link clipped off the top of the video, so you could not see the lap count, or top of the course map. From your YouTube channel, the same race video shows the top of the video. Lap 44, 0:47, you had left lane position on the Mustang comming at you. If you did not move left, contact would have been front wheel to front wheel. Lap 79, 1:41, transition from closing radius right at 14a ... back end popped out as you straightened out the car for right at 15. Looked like a moment! Last edited by KevinK2; 02-16-2015 at 06:01 PM. Thanks Kevin. Yeah, HPDEs are great for learning "the line", but when there are 77 cars on the track, you quickly learn the limits of your car "off line". People underestimate the focus required for endurance racing. The race was 14hr (7hrs Sat & 7hrs Sun). I had done 2hrs 20min on Sat and when not driving, I'm crew. So by the 2hr Sun run in that video, I was feeling weary. It doesn't take much of a mistake to find yourself pointed in the wrong direction. I have a whole new respect for the pros! 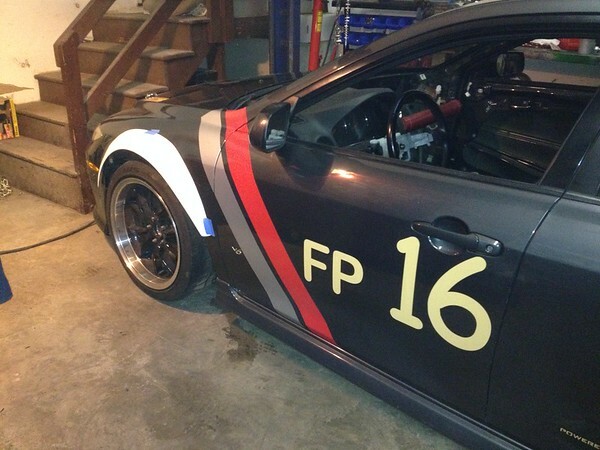 I'll be taking the 6 to VIR in April so I've been busy in the shop. Lots of little thing mentioned before, but one major item. I'm replacing the flares. The old ones were OK, but the ABS is not durable and after 2 seasons of hitting cones and trailer loading, they are busted up. I picked up some that are fiberglass and about an inch wider. Waiting for it to warm up so I can paint them, but the mock up looks pretty good. You might notice I've been playing with some vinyl recently also. Last edited by CanyonRider; 02-16-2015 at 06:19 PM. I think around page No 49, you were thinking about less rear bar, like the 22.5 from Steeda, with RB up front. IMHO, that would be too big a change vs the 27mm RB rear. The 24mm Progress bar would be a better choice. And you could mod the ends for a stiffer setting, if needed. Another option would be to convert to split-aluminum pivot blocks, vs the poly bushing + bracket. 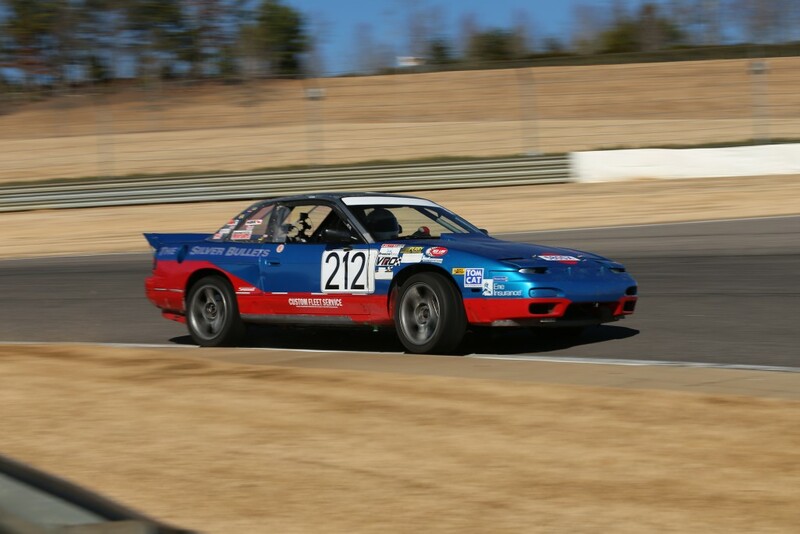 I had these on the GT-6 I built with SCCA DP mods per the "Triumph Competition Depeartment" as a guide. I used nickel based antiseeze paste for lube (solids in paste for Boundary Lube Condition). Never a squeak, and the bar would swing down freely when end links were removed. Based on my "pestering", Phate from the MSForum just did measuremenets of the oem front sway bar rate, with poly pivots. It turned out that the tested rate was about 1/2 the theoretical rate, per the Puhn formula. We concluded it has to do with the rigid body motion of the bar in the elastic bushings. This effect is due to a high ratio of the distance between bar end holes, divided by the bushing separation, squared. His front bar has the same geometry as the M6. This effect is minimal for the rear bar, as these two distances are almost equal. So if you added aluminum pivots to the front bar, the actual rate would increase about 60-80%, based on Phate's test, for less oversteer. Almost forgot, congratulations for your excellent entry into real racing, endurance at that! Based on your ability to alter lines at the last minute, and to keep everything working for 14 hrs, do you run at less that 9-10/10th through the curves? Like I noticed comming out of 7b, rather than shifting to 3rd, you kept it in 4th with rpms at 2K, then wound it up to 5k for the shift to 4th. Even with some modulation for traction, it looked like it would be faster to downshift.